BACK IN PRINT! AVAILABLE NOW! At last! 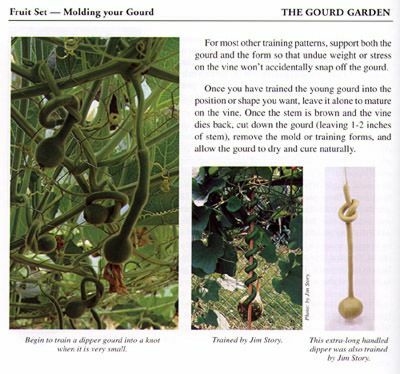 A complete easy-to-read guide for growing all varieties of gourds in any yard or garden. 128 pages, over 150 photographs. Gourds were among the first plants ever cultivated by humans, when they were valued for their unique woody shells as well as for food and medicine. Once again this wonderful plant is becoming a part of our daily lives. This book will provide easy-to-follow guidelines so you can become a part of this ancient tradition. 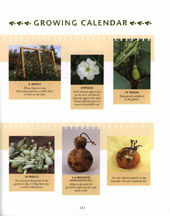 Regardless of your climate, gourds can be grown successfully throughout the United States. These prolific vines can be trained on trellises and even grown in pots. 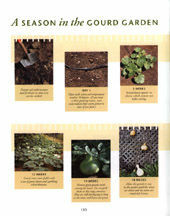 Throughout, Gourds in Your Garden photos and diagrams will guide you through the growing season. Where can I get good seeds? 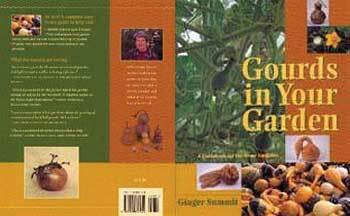 When do I plant my gourd seeds? When do I pick my gourds? What's this icky black stuff growing on my gourds? How long does it take for the gourds to dry? It's going to freeze tonight. Will my gourds make it? 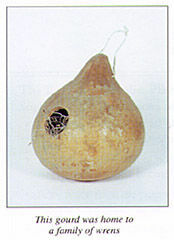 How do you make a gourd birdhouse?